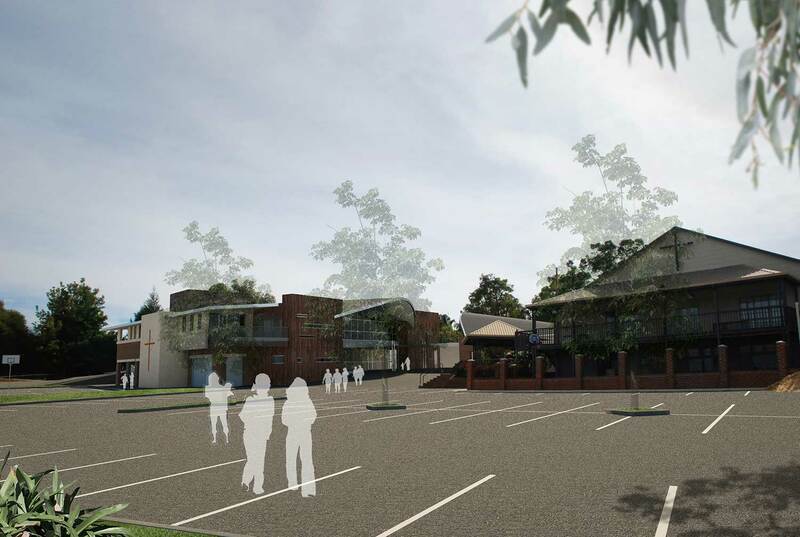 The Kalamunda Church of Christ engaged Site Architecture Studio to undertake Concept Design for a new Community Facility comprising: Function Hall, Seminar Spaces, Church Administration, Counselling Suite / offices, Youth Hall including Basketball Court and Children’s Play Centre. The design has developed through rigorous site analysis to establish physical, cultural and psychological links with the existing Church and the broader local community. The Church had established a thorough needs analysis which informed the functional brief and schedule of accommodation. Simple relationship diagrams evolved into plans which consolidated the brief providing a hierarchy of functional, flexible spaces to address the Community’s current and changing future demands. The challenging sloping site enables the facility to have direct access from both levels, providing a multitude of user group opportunities. The Concept Plans will inform the development of a Business Case for the Church to progress the project. It is like you have taken exactly what was in my head and produced it in the design on paper.